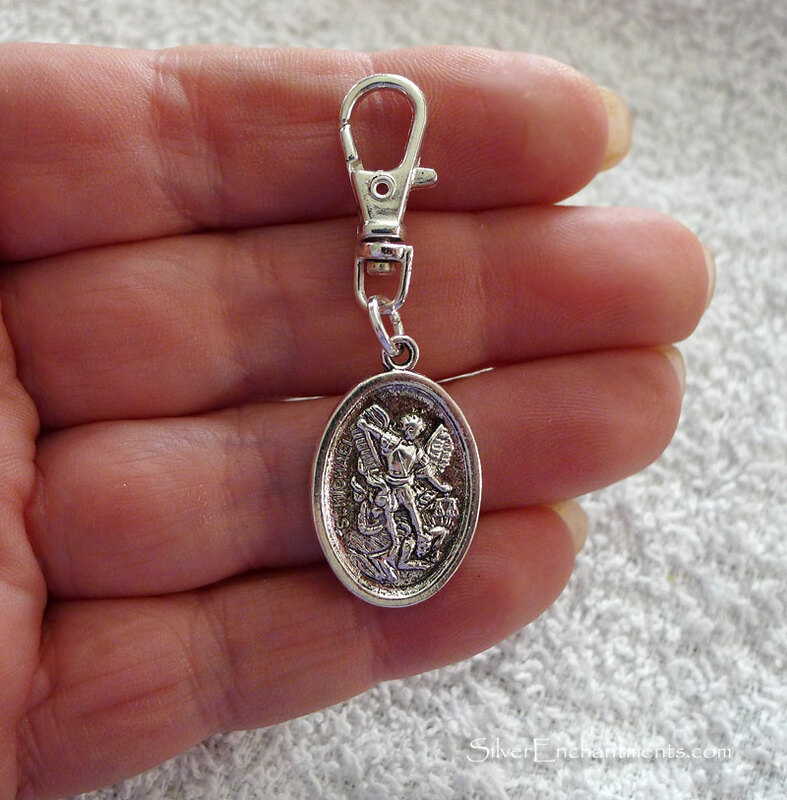 A Tibetan Silver St. Michael Medallion charm has been attached to a Sterling Silver Plated Lobster Claw Swivel Clasp. The clip would be great attached anywhere such as onto a : backpack, necklace chain, purse or any other place you can clip something on to. Total length is approximately just under 2" inches long x just under 3/4" inch wide. 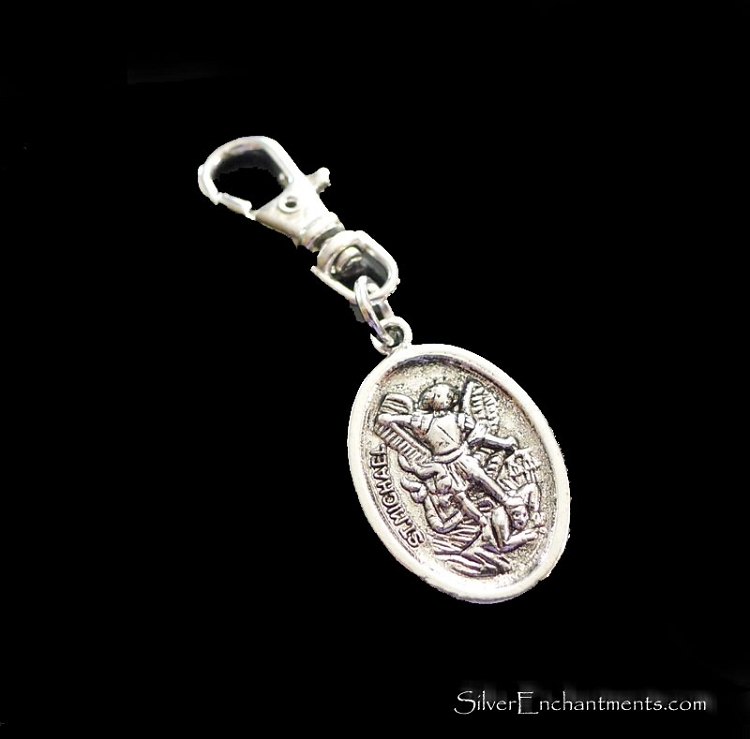 The Double Sided, Dimensional St. Michael with Guardian Angel charm is made of silver tone plated lead-free and nickel-free metal. The Swivel Clip Clasp is made of Sterling Silver Plated Brass. 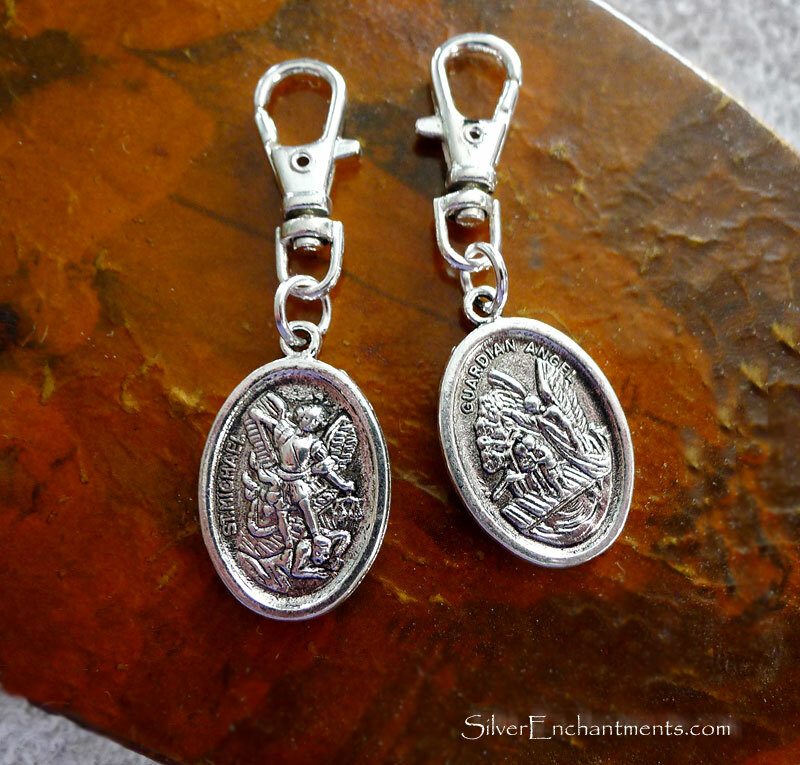 St. Michael, prince of the heavenly host of angels, is one of only three angels mentioned by name in the Bible. Miguel’s name means, who is like unto God. Renowned in the Jewish, Christian and Islamic traditions, He forms between us a common bond.